Featuring parts of the Sonoran Desert and Chihuahuan Desert, Southern Arizona has no shortage of family activities, especially if outdoor adventure is part of your itinerary. Arizona Southern vacation condos are the perfect choice if you're looking for leisurely down time mixed with adventure. Families with kids will find the open space compared to typical hotel and motel rooms much more relaxing and enjoyable, which makes any vacation that much more wonderful. 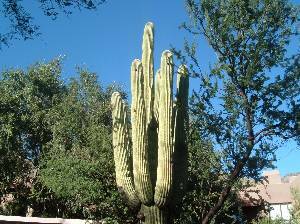 When you are situated in the Tucson area, there is a plethora of outdoor activities to set out on. Take a walk in the city or nearby canyon for an outstanding hike. There are walking trails that meet every kind of level from leisurely strolls to challenging climbs. Go on a rock climb or take a horseback ride, and have a unique experience of the underground in the region's extraordinary caves. Arizona Southern vacation condos place you in the center of it all, and are a place to relax and reflect. The amenities can be enjoyed at a rate that is accommodating to the family budget, so the wonders of Southern Arizona can be explored without draining your bank account. The activities range from adventurous to low key. Everyone in the family can enjoy looking for one of the hundreds of species of birds that live in Southern Arizona. Set out for a night trip to Kitt Peak National Observatory, the Fred Lawrence Whipple Observatory, or others to get a view of the stars like you've never seen before. To add culture to the experience, visit some of the museums, art galleries, and theaters in the Tucson area. A children's museum and zoo are great places for the children as well. The end of the day can feature a leisurely meal cooked at Arizona Southern vacation condos and time resting after the day's extraordinary adventures. Planning a vacation in Southern Arizona is unlike choosing your activities in a big city. The attractions are spread out, but you can find solace in taking scenic drives to places like Oro Valley and Catalina State Park. Unforgettable family excursions on the trails around Green Valley fill your day with awe inspiring views. No matter where the Arizona Southern vacation condos you choose to stay in are located, you are conveniently located in the center of everything. This is not your usual vacation-style hotel or motel room; it is a place for family leisure and comfort. Come and go as you please and feel refreshed throughout your time in Southern Arizona. Exploring the great outdoors in Southern Arizona is like nowhere else. Plan a vacation based at Arizona Southern vacation condos and talk to an owner today. The options from luxurious to simple yet comfortable accommodations suit families with any kind of budget, so you can enjoy this majestic area at an affordable price. Lasting memories will be made every step of the way, from the early morning to every natural, cultural, and artistic attraction on your vacation itinerary. Interested in More Arizona Southern? Check out nearby Green Valley , Tucson .